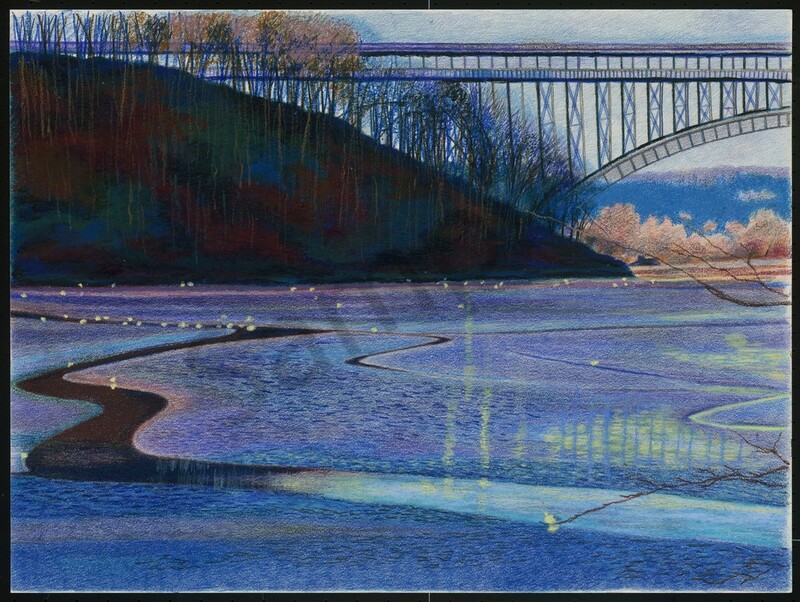 A tendering I did based on a photograph I took by The Henry Hudson Bridge In Inwood Manhattan. I worked in a colored pencil base with wax art bars and oil pastel touches. This view is right outside my apartment building at 585 W 214th St at the bottom of the hill. I get to see this everyday and the changes in the sky ar various times and the seasons of the year.